As someone who has done various types of ethnographic and interview research before, I was asked to provide some reading tips on that topic, for user research. If one looks at modern guidebooks, they tend to be quite good on the practical “how”, but neglect to say where many of the ideas come from. That makes it sometimes very hard to expand on their ideas, should one want to. Ethnography has a long history, first as the study of especially indigenous cultures, but later also things such as formal organizations. A small sample of guidebooks and published results. Likewise, interviewing techniques and formats – in both ethnographic and other contexts – are much more diverse than a simple book can show. Therefore, especially as one seeks to write about the results (in, e.g., a master’s thesis), it’s always nice to have some extra sources with which to start. In the video here is my crash course on the topic’s diversity, and below is a basic bibliography, in condensed format. University libraries tend to have copies of them, at least, and those can be located through databases such as Linda. Boelstorff, T., Nardi, B., Pearce, C. & Taylor, T.L. (2012). Ethnography and Virtual Worlds: A Handbook of Method. Princeton: Princeton University Press. Hammersley, M. & Atkinson, P. (2007). 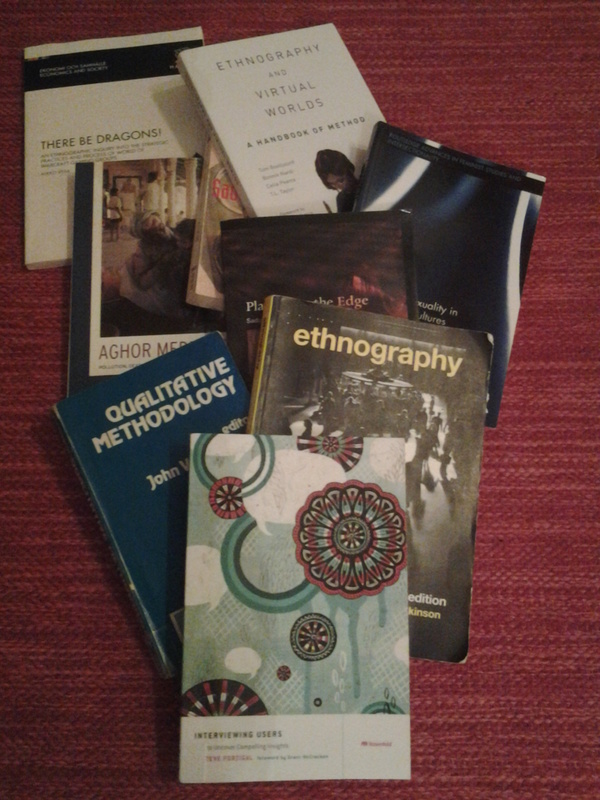 Ethnography: Principles in Practice. London: Routledge. Jackson, M. (1989). Paths towards a Clearing: Radical Empiricism and Ethnographic Inquiry. Bloomington: Indiana University Press. Kvale, S. & Brinkmann, S. (2009). InterViews: Learning the Craft of Qualitative Research Interviewing. Los Angeles: Sage. Van Maanen, J. (ed.) (1983). Qualitative Methodology. London: Sage. Van Maanen, J. (2011). Tales of the Field: On Writing Ethnography. Second edition. Chicago: University of Chicago Press.